We offer a solution for every situation. The fog kills mosquitoes immediately on contact and lasts for 21 days. Perfect for special events such as weddings or parties. The permanent and most effective way to control mosquitoes. Worry-free everyday protection. 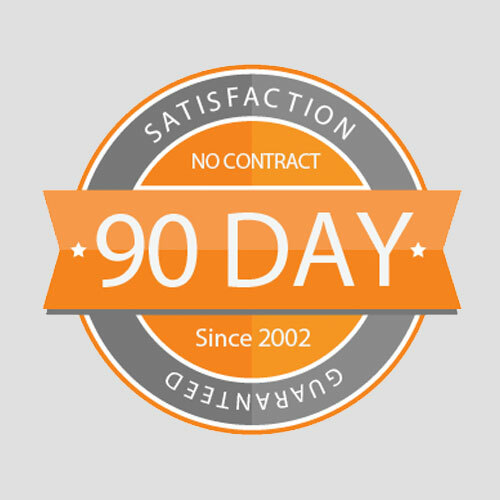 Join the thousands of satisfied customers in the greater Houston area. We offer plans to meet your needs. No yearly contract to sign. We will earn your continued business. *WARNING* Zika Virus found in HOUSTON... Protect Your Family w/ Bug Defence! 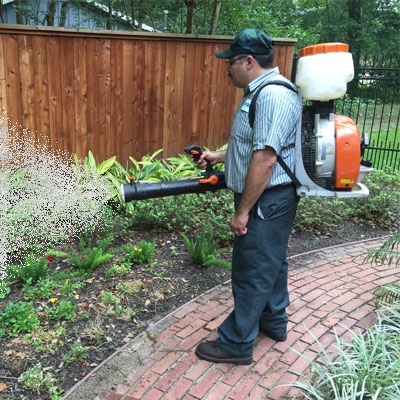 Houston, start enjoying your backyard again mosquito-free! The perfect temporary solution for eliminating mosquitoes. 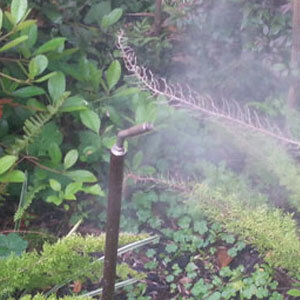 BugDefence trained technicians can fog your yard every 21 days. We use a backpack fogger designed for precise application to target plants, shrubs, and areas that are capable of breeding mosquitoes. 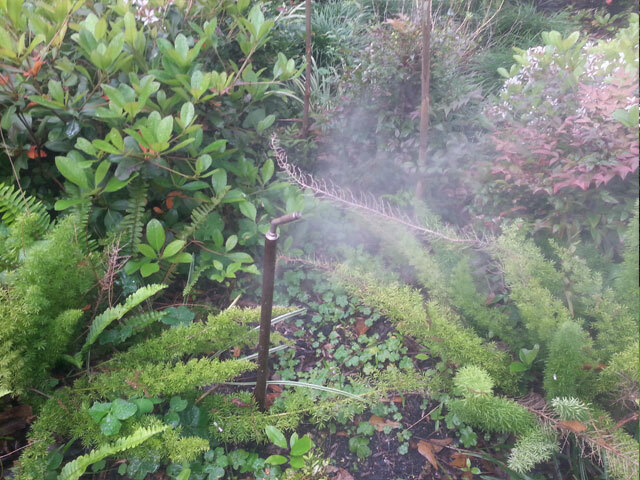 The fog kills mosquitoes immediately on contact. 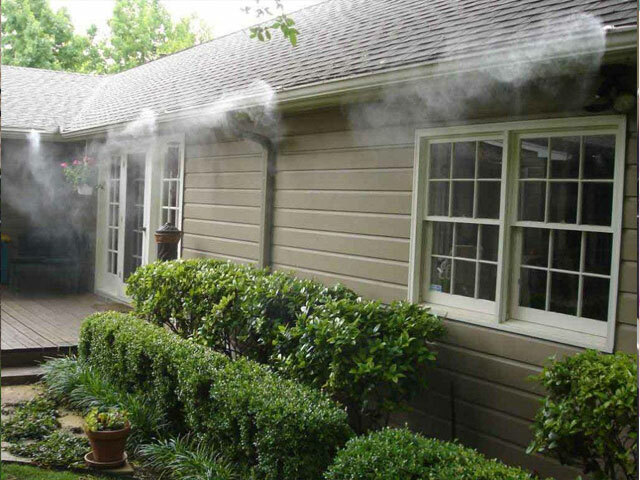 Within 30 minutes of fogging your family & friends will be able to enjoy your back yard. 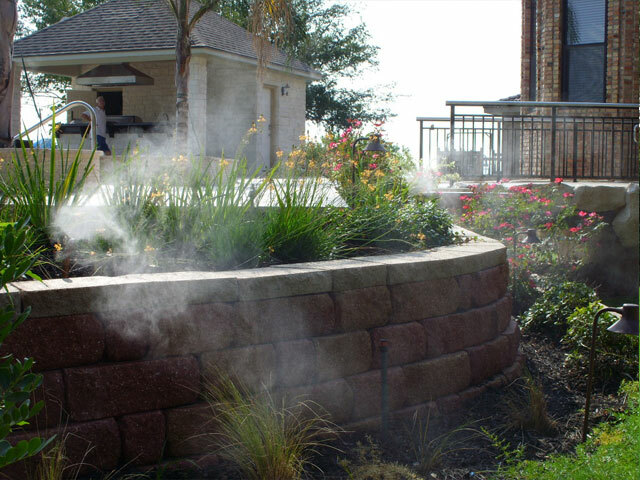 BugDefence can come to your special event in advance to apply a barrier fog so your guests don't suffer mosquito bites. This is great for weddings, parties, BBQ's or family reunions. Dry within 30 minutes barrier fogging provides protection throughout the whole day. 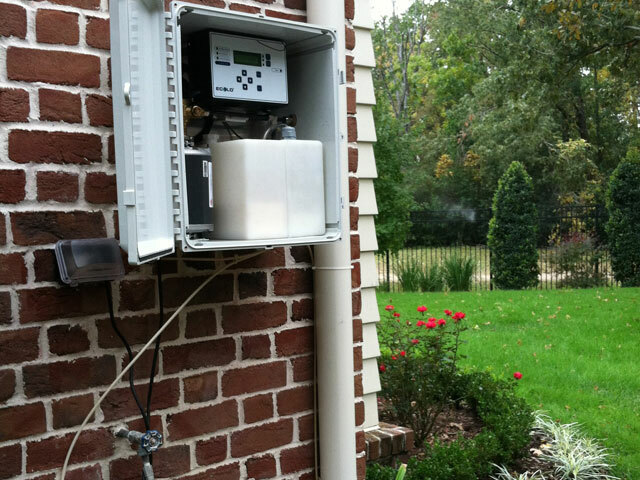 The mosquito system automatically releases a 35 second fine mist spray three times daily (6 am, 6 pm, and 8 pm) when the mosquitoes are most active. The goal is to on a daily basis eliminate the mosquitoes coming over from neighboring properties/ponds etc. This is done by creating a barrier around the house through the strategic placement of nozzles. This is the permanent solution to eliminate mosquitoes. Automatic and manual daily coverage. The nozzles are placed on 1/4 inch tubing that is ran throughout the property, hidden from plain sight. With three different tubing color options, the tubing will blend right in to your fence, eaves, or shrubs. They are spread out every 10 feet. The system will include a remote control allowing you to opt for additional 35 second sprays to suit your needs. Houston Mosquito Control. Houston mosquito systems. 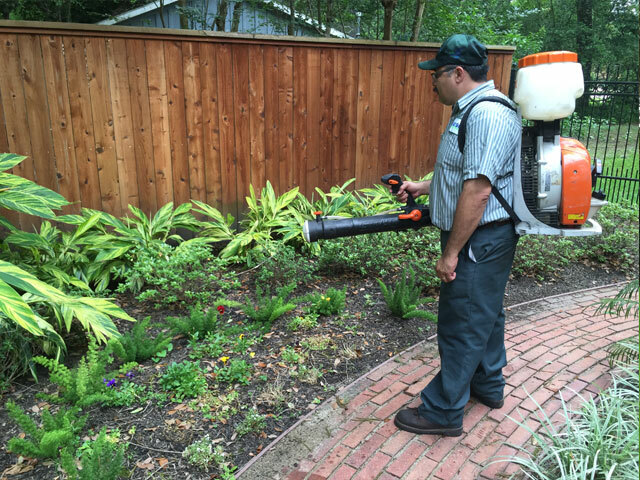 Permethrin is what we spray. Permethrin is a broad spectrum, non-systemic, synthetic insecticide. Permethrin is registered by the EPA as an insecticide for use in a variety of settings. It is effective in truly eliminating flies, mosquitoes, wasps, and spiders. It’s so diluted that it will not affect humans or animals, but strong enough to eliminate mosquitoes, flies, spiders etc. Apply a barrier spray in advance and ensure that your guests don’t suffer mosquito bites. 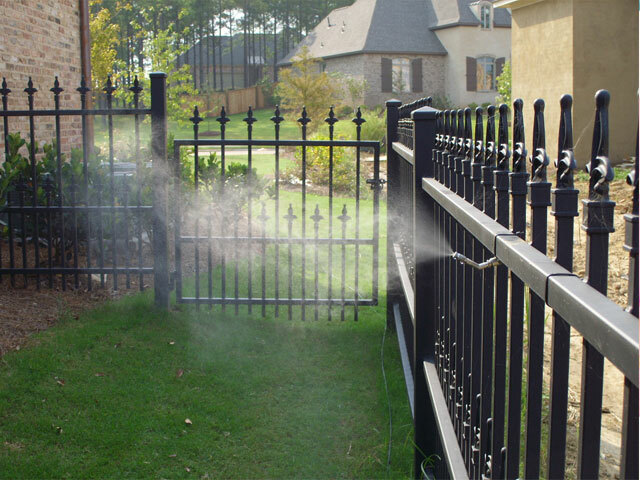 The Bug Defence™ system is the most effective and convenient method for controlling mosquitoes and other flying and biting insects in your yard. 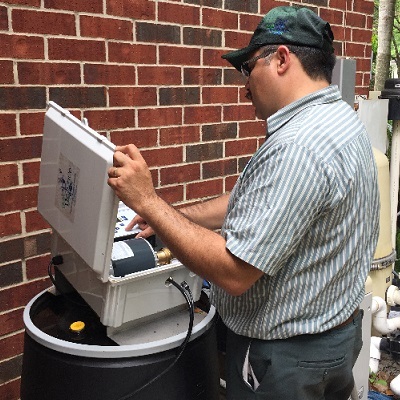 Our Systems work the first day, right away, operating virtually maintenance free. 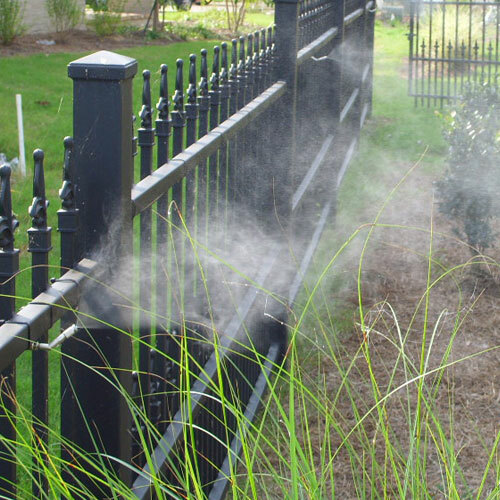 Imagine never again having to spray your children with messy repellents or remembering to fog your yard before an outdoor event! No Contract. No Payment until after installation has been completed. 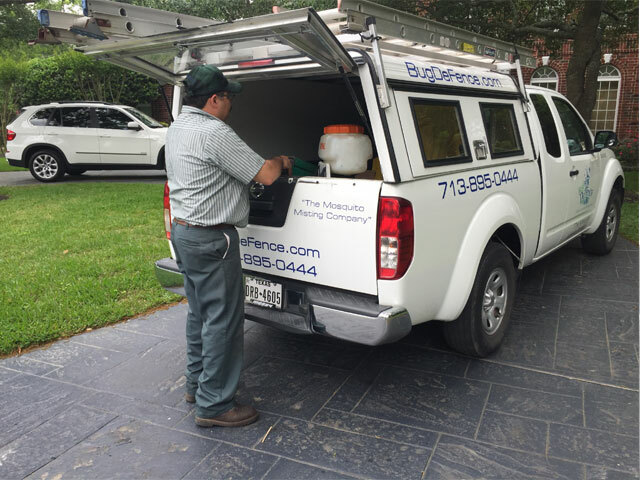 We have been specializing in mosquito control for 15 years now. 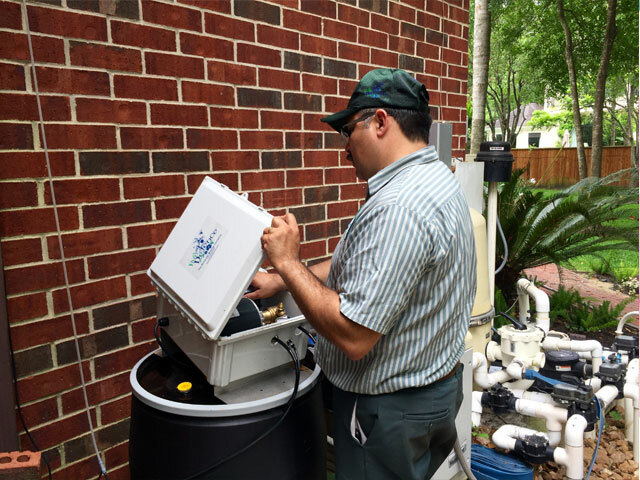 One key thing about our company is that we manufacture our very own systems here in Houston. We don’t buy system from anyone.